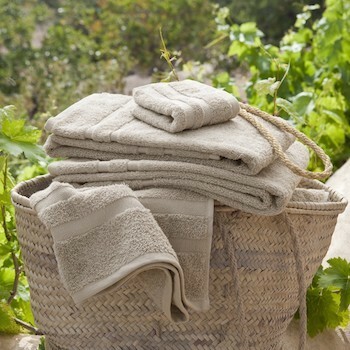 Our 70x140cm bath towels in a beige 'noisette' colour are a simple luxury for individuals and families alike. 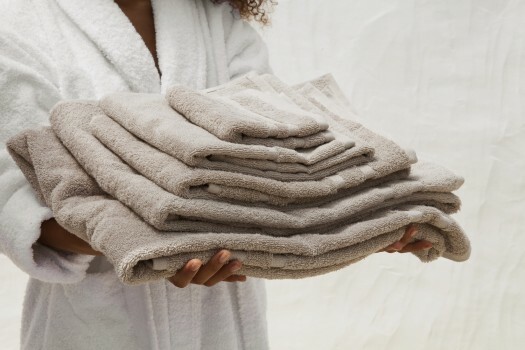 Cassis bath towels, are made in Europe from 100% Egyptian cotton 600 GSM, feel full and soft while highly absorbent, quick drying and colour fast. 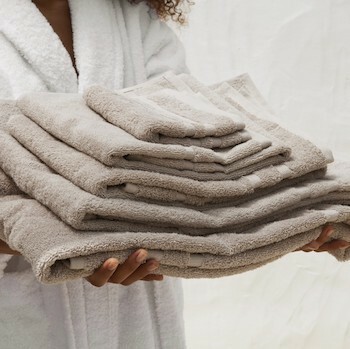 With a classic double border jacquard trim, complete the look with the variety of sizes available from face towels to bath sheets.